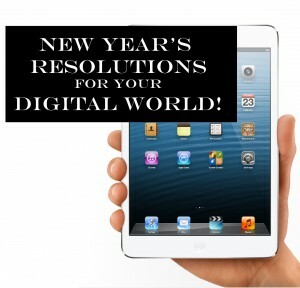 New Years Resolution for Your Digital World! We have all looked in the mirror and have noticed that holiday cheer has led to a few inches on the waistline, a few lines around the eyes. What about your digital life? 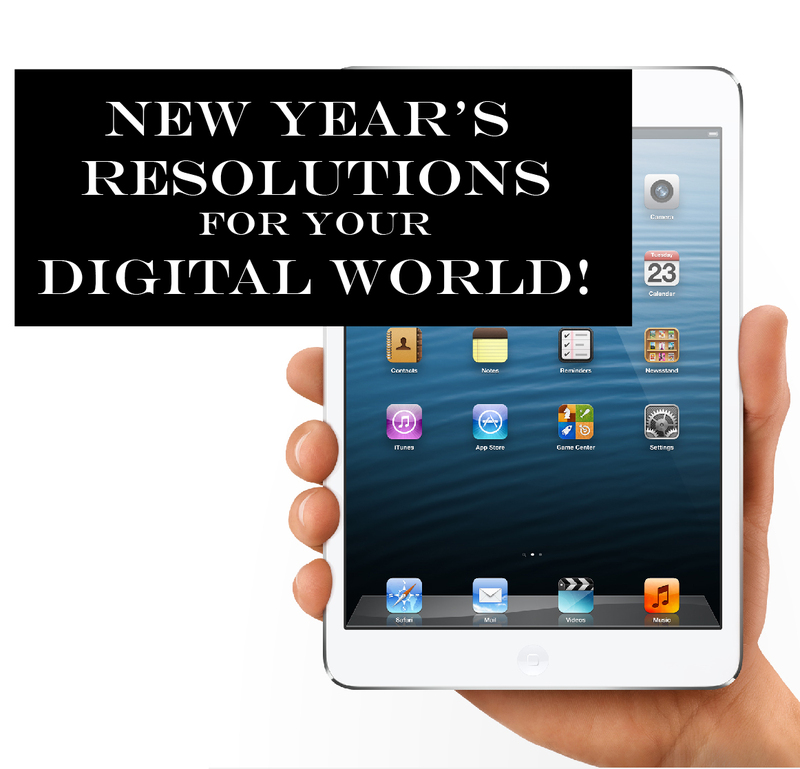 Take a moment to think about how you can improve your digital world for 2013! 1. Lock Down New Toys! It is so much fun to open that new gadget packaging and dive right in and start installing apps, customizing, adding movies, picture, and data. If you haven't already, take the necessary steps to lock down your mobile device. If you gave your child or teenager an iTouch, iPad, or iPad mini, consider adding parental controls. For laptops and computers, install the operating system and software updates. Install anti-virus. There are plenty of free Anti-Virus solutions. Don't skip this step! Avast for Mac, AVG, Microsoft Security Essentials. There has been a migration of social media use for teenagers. Now that everyone's mom is on Facebook, kids are using other social media to connect with their friends. Growing up we went to a friends' basements to get away from our parents. Instagram, Snapchat, Foursquare, Tumbler, Twitter are all other social media networks you need to consider joining because your kids are probably already using them. [spoiler title="SnapChat" open="0" style="1"]Snapchat is a messaging application. Kids send pictures with tag lines to friends. You need to be aware of who your kids are 'friends' with on SnapChat. You won't be able to see any 'news feed.' My own review of SnapChat is coming)[/spoiler] In short, figure out where you kids have social media accounts and follow them. I think we have all experienced a hard-drive crash or a water-logged device. The initial reaction is, “Darn it! I'm going to have to get a new [laptop, computer, phone].” Then panic sets in. ”I lost my PICTURES! !” You frantically think of the images and movies that are stored on the device and have not made it to your external hard drive. Electronics can be expensive, but they can be replaced. Baby pictures, funny videos, and important documents cannot always replaced. Save yourself the trouble of paying for the Geek Squad to recover the files manually. Back-up mobile devices at least every two weeks. Buy an external hard drive that can schedule routine back-ups. I used to move files to an external hard drive manually. However, I would often forget to back up my files and it would be 4 or 6 months since my last back up. I now have a 2TB external hard drive that runs automatically with the MAC Time Machine. I can now sleep easy knowing that all of my files have been backed up. Make your back-up solution as automatic and easy as possible so that it actually happens and you will not lose as much data the next time something happens to your phone, laptop, or computer. In my post, “How to create a Strong Password,” I stressed the importance of changing your password. If it has been over a year since you changed an online password, do it now. Remember to make a strong password. I found a new trick to create and remember a strong password. Think of 3 random words and put them together for a new password. Example: 'couch' blue' 'newspaper' Password: couchbluenewspaper. Because of the length of the password, it would be difficult for a hacker to guess the password. Because of the simple words, it will be easy to remember the password. The New Year is a great time to take inventory of our lives and habits. 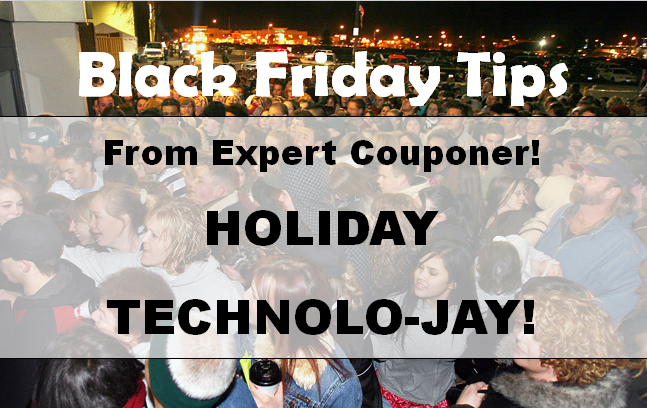 Use this time to take inventory of electronic devices you own and how you and your family use the Internet. Has there been a new cell phone in the past year? What about new blu ray player? What devices can access the Internet? Have you set up any restrictions? 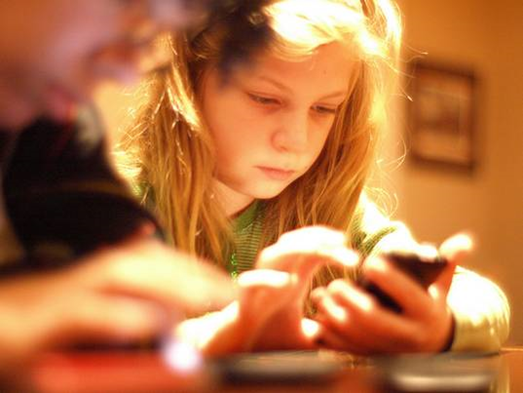 Have any of your kids joined Facebook or other Social Media in the past year? Have you checked their privacy settings? Have to talked to them about appropriate behavior on Facebook? 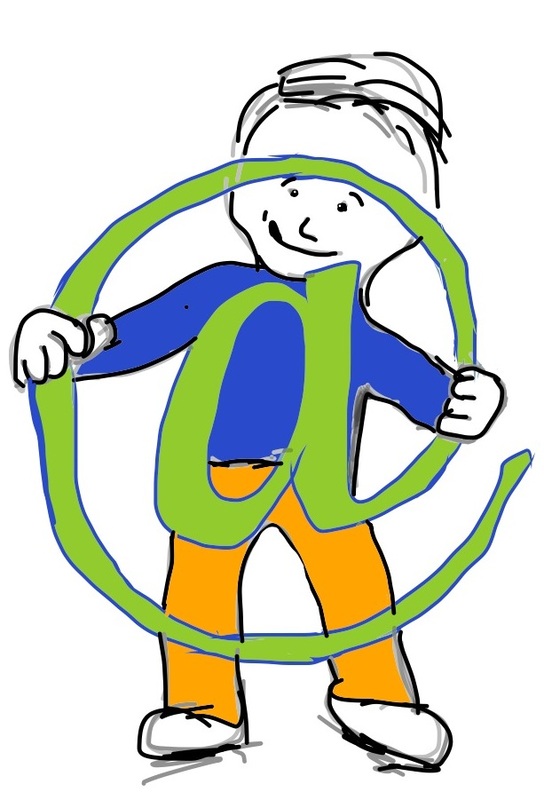 Have you discussed and set up guidelines for Internet Use? 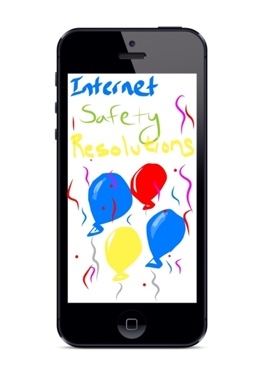 Teaching your family about Internet Safety and how to protect themselves is more important than any anti-virus, web filter or other control you can put in place.